While I still practice with a metronome every day, I like to mix it up, especially when practicing jazz independence and sticking exercises. 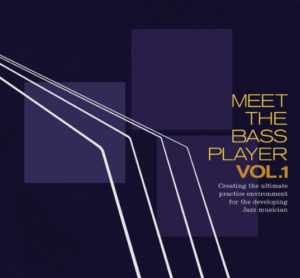 Lately I’ve been using Meet the Bass Player by Allan Cox. It’s a staple of my practice routine. This playalong is simple, just bass and rhythm guitar that doesn’t get in the way. There are a good range of tempos from slow to fast that make it usable whether I’m working on something for the first time or trying to push myself. I’m currently working a lot on feathering the bass drum (with a strong hi-hat on 2 & 4 and a standard cymbal beat). Meet the Bass Player has been invaluable. I end each practice session by focusing on my feathering technique with the bass tracks at 180bpm, 220bpm, 260bpm and 300bpm. 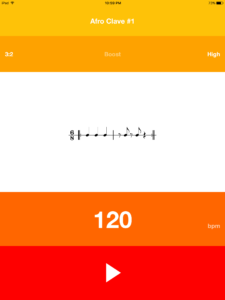 Just two weeks ago my max was 260bpm, so I’m encouraged. The other thing this jazz bassline playalong is great for is when working on brush patterns. Having a clean bass line to focus on really helps to hear the brush rhythms and highlights any weaknesses that may need to be worked on. 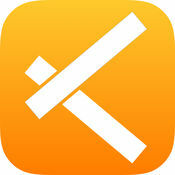 This is very easy to recommend and a great value at around $10. I recently started practicing Latin patterns and working out of the book New Ways of Brazilian Drumming by Sergio Gomes. 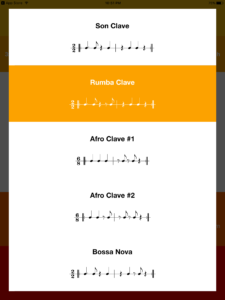 I’ve also been working on Latin independence exercises while reading from the Ted Reed Syncopation book and playing those patterns with my left or right hand. I quickly got tired of listening to a straight click while practicing and instead of programming the various clave patterns into my drum machine or computer, I searched for an app and found one that’s perfect! The Clave is highly recommended. It’s also free. The interface is brilliantly simple and gives me everything I need. 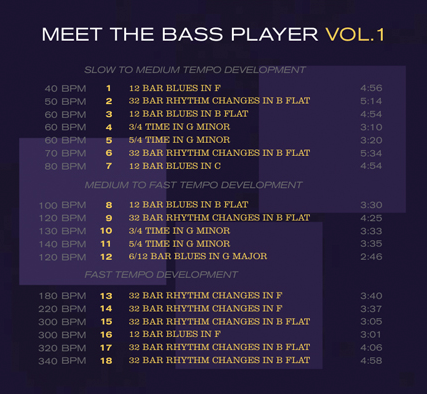 Tempo adjustment, several different patterns, the ability to invert the clave from 3:2 to 2:3 and an option for low or high pitched claves. Here’s the book I mentioned above. It came highly recommended to me by one of the faculty of the Jazz Studies department at the University of Minnesota.